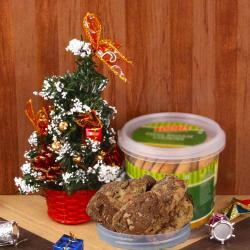 Product Consist : Chocolate Chips Cookies (Weight : 150 gms) along with Christmas Santa Soft Toy. Kids love Santa Claus as Best friend. 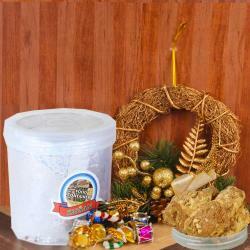 Kids share secrete wishes with him and aspect santa clause will complete. 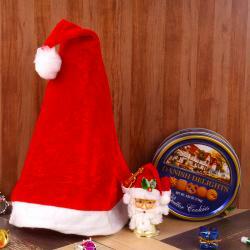 Santa Claus, also known as Saint Nicholas, Saint Nick, Kris Kringle, Father Christmas, or simply Santa, is a legendary figure of Western culture who is said to bring gifts to the homes also thought the children to well behave and good values of life. 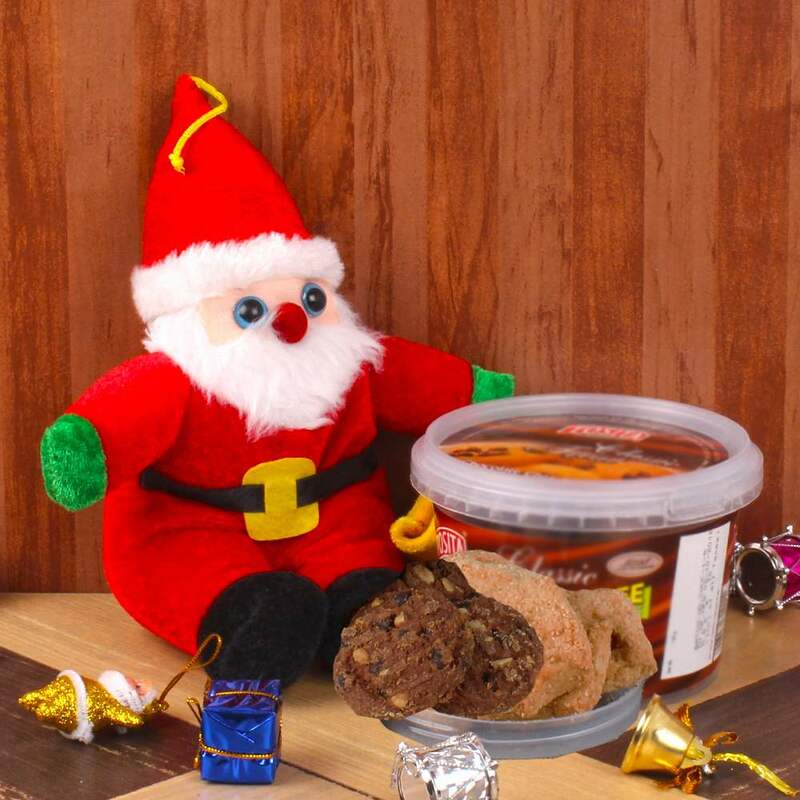 Here we present the small soft toy of cute santa for your kids its made out of soft cloth material and kinds love to play with it this hamper is also included Chocolate Chip Cookies which make this hamper completed. 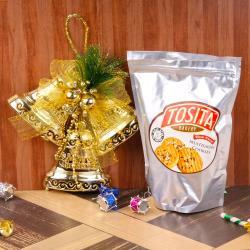 Product Consist : Chocolate Chips Cookies (Weight : 150 gms) along with Christmas Santa Soft Toy.